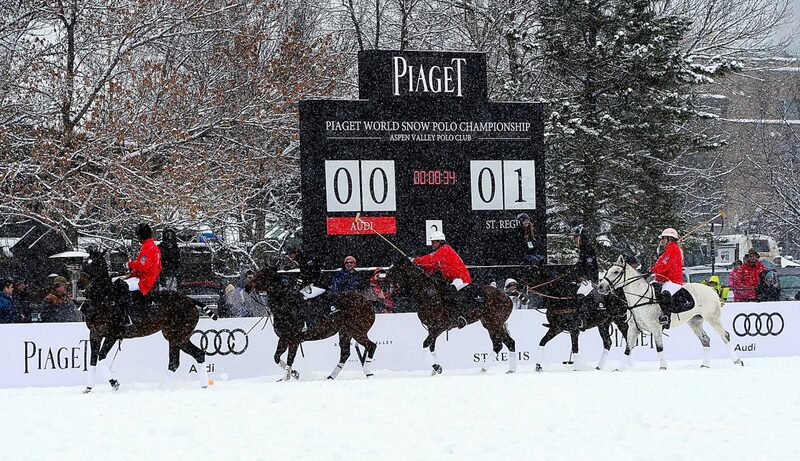 Snow polo players ride past the scoreboard in Wagner Park at the Piaget World Snow Polo Championship in 2013. With the park under construction, organizers will hold this year's event at Rio Grande Park instead. The World Snow Polo Championship will return to Aspen in late December with events scheduled in Rio Grande Park and Carbondale, organizers said Friday. For the second year in a row, Aspen Valley Polo Club President Marc Ganzi and organizers were hoping to host competition at Wagner Park, a location that stirred controversy in 2013. 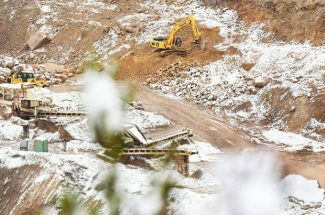 But with renovation ongoing at Aspen’s downtown playing field, the Parks Department informed the polo group in the fall that it was a no-go. 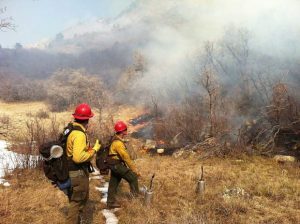 “What we did was say Rio Grande could be available for it this year,” said Parks and Open Space Director Tom Rubel on Friday. 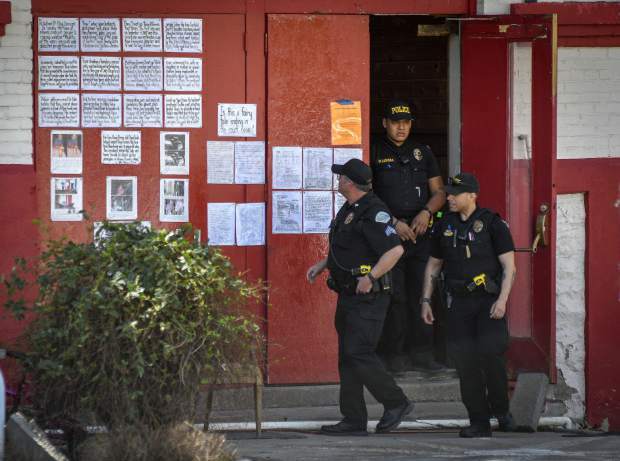 Though the event required Aspen City Council approval in 2013, that won’t be the case this year. The Special Events Department, which reviews such permits, will discuss the event Tuesday, a meeting Rubel called “administrative.” Another change this year is that the event’s bond, which covers any potential damage to the field, was decreased from about $40,000 to $25,000, according to Rubel, who said the deposit was returned in 2013. The polo group also will pay a standard $3,500 events fee to the city. Last year, the council gave 3-1 approval to the event, with Mayor Steve Skadron dissenting. 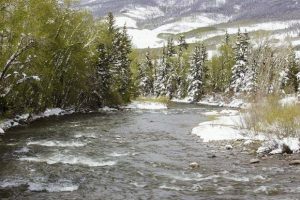 Due to lack of precipitation, organizers were given the OK to produce man-made snow using Aspen Skiing Co. guns and generators. Rubel said there is no water tap at Rio Grande, so if the event requires man-made snow this year, organizers would need to work it out with the Water Department. Ganzi could not be reached for further comment. The event schedule includes first-round games at the Aspen Valley Polo Club arena in Carbondale on Dec. 18, followed by a playoff Dec. 19 at Rio Grande Park. Councilman Adam Frisch said Friday that he thought snow polo worked well last year at Wagner Park, though he realizes there was a lot of concern leading up to it. Looking at the range of Aspen events, between Ruggerfest, Aspen Filmfest and Aspen Ideas Festival, among others, Frisch said snow polo adds variety, from local yokel to high-end meetings. Rubel said the council was asked to weigh in last year because the Parks Department had recommended Marolt Open Space as the venue. After last year’s snow polo and X Games concerts, he said the field lost quite a bit of turf. It’s his opinion that man-made snow compacts more than natural snow. He added that there’s always concern for damage, but with ideal snow conditions, that concern is alleviated. Rubel said the Parks Department had hoped to reopen Wagner Park by the end of the fall, but the $900,000 project was delayed by a wet August and the discovery of a utility line, which he relayed to the council in September. The project also incurred an additional $53,600 cost when Parks determined they would have to sod the field rather than seed it in order to open by June 1. The department is now shooting for a mid-May opening.